In western Oregon, forest ecosystem processes are greatly affected by patterns of stand replacement disturbance. A spatially explicit characterization of clear-cut logging and wildfire is a prerequisite to understanding the causes and consequences of disturbance in this region. We analyzed stand replacement disturbance over 4.6 million forested hectares of three major provinces in western Oregon between 1972 and 1995, contrasting the relative amounts of wildfire and harvest in each province and comparing harvest statistics among the dominant land ownership categories. Clear-cut harvest and wildfire occurred over 19.9% and 0.7% of the study area, respectively. The moist Coast Range Province (CRP) was dominated by private industrial (PI) ownerships and had the greatest concentration of cutting. The relatively dry Klamath Mountains Province (KMP) and the climatically moderate Western Cascades Province (WCP) were dominated by public landowners and had lower concentrations of cutting and larger amounts of wildfire than the CRP. Rates of harvest over time generally followed similar trends across landowners; it was lowest in the early 1970s, peaked in the late 1980s and early 1990s, and then decreased to near 1970s levels by the mid-1990s. PI landowners had harvest rates that were about two and one-half times as high as public owners throughout the study period. Public and private nonindustrial (PNI) owners tended to have relatively small cutting units that remained spatially dispersed throughout the study period, whereas the PI owners had larger individual cutting units that tended toward spatial aggregation over time. 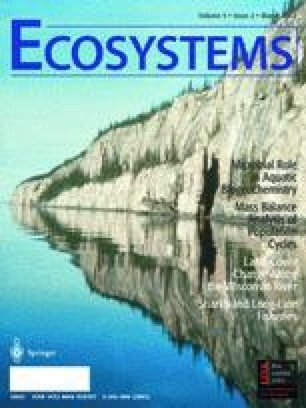 Comparing the managed disturbance regimes with historical wild disturbance regimes can help us to understand the relative impact of management regimes on ecosystems. Key words: forest disturbance; Landsat; forest management; remote sensing; change detection; province; ownership. Received 28 November 2000; accepted 24 September 2001.